As plentiful as the grass that grows, the sands on the shore, the dew in the meadow, or the wind across the moor...so shall grace and blessings be. 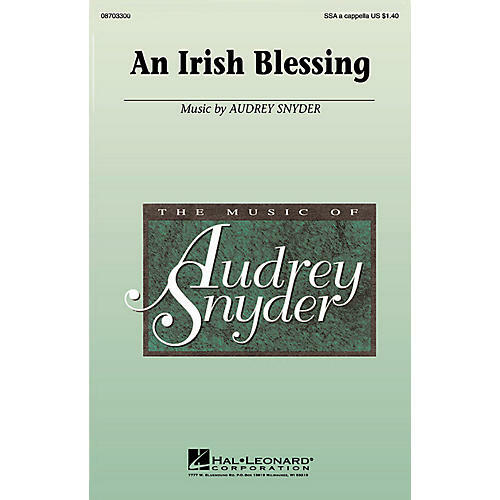 This beautiful Irish blessing text is creatively set in an expressive a cappella original work by Audrey Snyder. Excellent programming for treble choirs of all ages!Available separately: SSA acappella. Performance Time: Approx. 1:45.